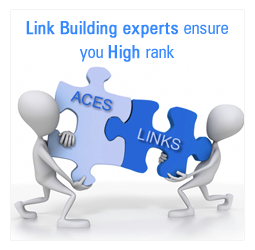 ﻿ Link building services in Mumbai,Thane,India,USA. Online Advertising can be economical and easily accessible, but to retain the top rank, it becomes a different story. It is here we come into picture. We make sure that your site along with good looks is a Top Ranking and properly Back Linked site. Our Link Building experts ensure that your web page has relevant links that ranked high. Leading search engines like Google, Yahoo, Bing etc, use their own algorithms to search the web pages for the keywords searched by the internet users. In recent years Social media websites like Facebook, Twitter, LinkedIn etc have experienced tremendous growth. This has made the leading search engines to keep changing their algorithms to find fresh content quickly. Our link building strategies concentrate on core values like trust, authority and no spam at all. Ensure top ranking of most important web pages of your website.